In the Second World War, the Macedonian people fought on the side of the anti-fascist forces against the German, Bulgarian and Italo-Albanian occupiers. During this struggle, a Macedonian Liberation Army developed from the initially small partisan detachments; with the help of its military activities the Vardar part of Macedonia (that part of Macedonia which was included in the former Yugoslavia) was completely liberated in the autumn of 1944. A complete system of government was created on the liberated and semi-liberated territory, which, together with the Liberation Army, were the foundations of the modern Macedonian state . On the basis of the inviolable, permanent and unalienable right of each people to self-determination and as an expression of the sovereign will of the Macedonian people and all nationalities living there together, the establishment of the modern Macedonian state was proclaimed at the First Session of ASNOM, held on August 2, 1944 on the liberated territory in the Monastery of St. Prohor of Pchinja. At this session, the Macedonian state was constituted as a member state of the Yugoslav federation, which was established in accordance with the decisions of the Anti-Fascist Council of the National Liberation of Yugoslavia (AVNOJ), held on November 29, 1943 in the Bosnian town of Jajce. 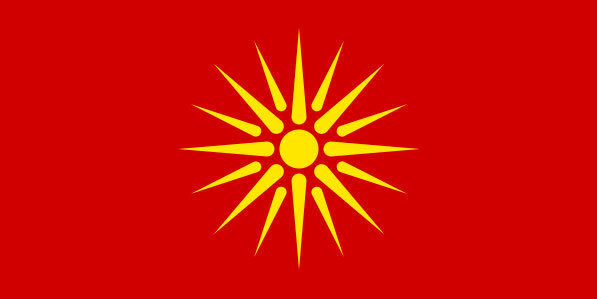 At the outset the Macedonian state bore the name Democratic Federate Macedonia, and, following the proclamation of Yugoslavia as a Federal People's Republic at the session of Constitutional Assembly of Yugoslavia on November 29, 1945, the Macedonian state adopted the name People's Republic of Macedonia. This name was also established in its first Constitution adopted by the Constitutional Assembly of the People's Republic of Macedonia on December 31, 1946. In accordance with the Constitution of April 7, 1963, its name was Socialist Republic of Macedonia. which it held until June 7, 1991 when the Assembly passed a constitutional amendment deleting the designation "Socialist" from the state's name, establishing its present name - Republic of Macedonia. The Republic of Macedonia, established during the Second World War was an outcome of the national liberation struggle of the Macedonian people and its centuries-long aspirations and demands for national freedom and independence and for a state of its own in which only the people itself would decide about its position and future. By the decisions of the First Session of ASNOM, the Macedonian people secured its further survival and development and provided protection from the despotic appetites and domineering aspirations of the nationalistic and chauvinistic forces in neighboring countries. A wide spectrum of prospects opened up before the Macedonian people for free life and comprehensive social, economic, political and cultural development. Since then, compared to the level of development at the time of the establishment of its state, the Macedonian people has achieved a high degree of economic and cultural development. In this period, the Macedonian people further strengthened its national identity and the Republic of Macedonia obtained broad international affirmation and recognition. The modern world accepted the reality of the existence of the Macedonian people and its state within the framework of the former Yugoslav federal community. When a further life within the federation became impossible, the Macedonian people, like the Slovenes and the Croats, opted for an independent life, for life in a sovereign and independent state. The people of the Republic of Macedonia achieved their independence in the period from September 1990 to September 1991 in a peaceful, democratic and legal way. The process towards the independence of the Republic of Macedonia began in a more definite way with the major changes in the social, economic and political system - with the Amendments to the Republic's 1974 Constitution adopted in September 1990. These Constitutional Amendments explicitly proclaimed the right of the Macedonian people to self-determination, including the right to secession from the Yugoslav federal community, authorizing the Assembly of the Republic to decide on this issue by a two-thirds majority vote of all its members. The decision concerning the exercise of the right to self-determination was to become valid following its acceptance in a referendum by the majority of all citizens of the Republic enjoying the right to vote. In accordance with the new Voting Law and the new Law on the Political Organization of Citizens, democratic elections were held on November 11, 1990 to the Assembly of the Republic and the assemblies of the municipalities, in which a number of political parties took part. Soon after its constitution on January 25, 1991, the newly-elected and, according to its political composition, multi-party Assembly, adopted a Declaration on the Sovereignty of the Republic, by which, among other things, the Republic of Macedonia was defined as a sovereign state, which, in conformity with its own interests, would decide independently about its future relations with the states of the other peoples of Yugoslavia. In the referendum held on September 8, 1991, the vast majority of the citizens voted in favor of a sovereign and independent state of Macedonia. On the basis of the results of the referendum, the Assembly of the Republic of Macedonia, at its session of September 17, 1991, adopted a Declaration, confirming the will of the citizens expressed in the referendum. The Declaration states that the Republic of Macedonia as a sovereign and independent state will strive for consistent observance of the generally accepted principles of international relations contained in the Charter and other documents of the United Nations Organization, the CSCE Final Act from Helsinki and the CSCE Paris Charter, and that it will base its activity in international relations on the observance of international standards and, in particular, on the principles of respect for territorial integrity and sovereignty, non-interference in internal affairs, strengthening of mutual respect and confidence and comprehensive cooperation with all countries and peoples (Article 2). The Declaration states that the Republic of Macedonia has opted for a comprehensive development of good-neighborly relations and cooperation with all its neighbors, and also for development and cooperation with all European and other countries, international organizations and groups (Article 3). The Declaration particularly emphasizes the determination of the Republic of Macedonia to strictly observe the principle of non-violability of borders and confirms that it has no territorial claims against any neighboring country. Expressing the determination of the Republic of Macedonia to oppose any kind of disrespect for its territorial integrity and sovereignty, the Declaration confirms the Republic's determination to adhere strictly to the principle that all problems in mutual relations should be solved in a peaceful manner by way of negotiations and mutual respect (Article 4). Finally, the Declaration states that the Republic of Macedonia will continue to conduct a policy based on international standards and whose main objective and essential characteristics are the recognition of and respect for basic human rights and freedoms, and, within this framework, the rights and freedoms of Macedonians who live as national minorities in neighboring countries. adding that these questions could be resolved solely by peaceful and democratic means and in the spirit of European and civilized standards (Article 5). On November 17, 1991, the Assembly of the Republic adopted and proclaimed the new Constitution of the Republic of Macedonia, which confirmed the state's name, and the Republic of Macedonia was defined as it sovereign, independent, democratic and welfare state (Article 1), in which the sovereignty derives from the citizens and belongs to them (Article 2). The Republic is organized in accordance with the principles of modern democratic and parliamentary states. The Constitution establishes the indivisibility and inalienability of the territory of the Republic, and also the inviolability of its borders. According to the constitutional provisions, the borders of the Republic of Macedonia may be changed only in conformity with the Constitution and the principle of voluntariness and in conformity with generally accepted international standards. This means that the state border of the Republic may only be changed by a decision of the Assembly, passed by a two-thirds majority vote of the total number of representatives and adopted in a referendum by a majority vote of the total number of voters in the Republic. The Constitution respects the basic principles and standards of international law according to which borders between states cannot be changed by a unilateral decision or in a violent way, and may be changed only voluntarily, by way of agreement between interested states. Finally, in order to confirm the principle of good-neighbourly relations before the international community, the Constitution contains a specific provision expressly stating that the Republic of Macedonia has no territorial claims against its neighbouring states (Article 3, Amendment 1; Article 68, Paragraph 1, Item 8; Article 74). The Constitution also determines in principle that one of the fundamental values of the constitutional order of the Republic, among other things, is the observance of the generally recognized standards of international law (Article 8, Paragraph 1, Item 8). The fundamental values of the constitutional order of the Republic of Macedonia, among other things, are the following: a) the basic freedoms and rights of human beings and citizens recognized in international law and determined by the Constitution, and b) the free expression of national identity (Article 8, Paragraph 1, Items I and 2). In accordance with these provisions, the Constitution guarantees and provides an extensive list of freedoms and rights of human beings and citizens, contained in the International Covenant on Human Rights and in the constitutions of the majority of democratic countries (Articles 9 to 60). Starting from the historical fact that the Republic of Macedonia has been constituted as a nation-state of the Macedonian people, the Constitution specifically emphasizes that it provides full equality for all its citizens and the permanent co-existence of the Macedonian people and ethnic Albanians, Turks, Vlachs, Romanies and other nationalities living in the Republic of Macedonia and that one of its basic aims is to provide peace and the coexistence of the Macedonian people and the nationalities living in the Republic (Preamble to the Constitution). In addition to the general rights and freedoms guaranteed equally to the members of the nationalities and Provided in the same way as to all other citizens of the Republic, the Constitution also guarantees and provides special rights such as: the right to free expression, fostering and development of identity and national attributes; the right to the establishment of cultural and art institutions, scholarly and other associations for the expression, fostering and development of identity; the right to instruction in their language in primary and secondary education in a manner stipulated by law, in such a way that in the schools where the education is carried out in the language of a nationality, the study of the Macedonian language is obligatory (Article 48). Besides, in the units of local self-government where the majority or a considerable number of the inhabitants belong to the nationalities, in addition to the Macedonian language and its Cyrillic alphabet, the languages and the alphabet of the nationalities are also in official use in a manner or under conditions stipulated by law (Article 7, Paragraphs 2 and 3). Finally, the Constitution envisages the establishment of a Council for Inter-Ethnic Relations which is to consist of the President of the Assembly and two members each from the ranks of the Macedonians, Albanians, Turks, Vlachs, Romanies and two members from the ranks of other nationalities. The task of this Council is to consider the issues of inter-ethnic relations and make appraisals and proposals for their solution. The Assembly of the Republic is obliged to take into consideration the appraisals and proposals of the Council and to make decisions regarding them (Article 78). A constitutional obligation of the Republic is the care for the status and rights of those persons belonging to the Macedonian people who live as national minorities in neighbouring countries, as well as for Macedonian expatriates, assisting their cultural development and promoting links with them. It also cares for the cultural, economic and social rights of its citizens abroad. In addition, a special constitutional provision sets forth that the Republic will not interfere in the sovereign rights of other states or in their internal affairs (Article 49 and Amendment 11). On December 19, 1991, the Assembly of the Republic of Macedonia adopted a Declaration on the International Recognition of the Republic of Macedonia as a Sovereign and Independent State, demanding its international recognition. Starting from the fact that the Socialist Federal Republic of Yugoslavia had disintegrated and no longer existed as a state, on January 22, 1992, the Assembly of the Republic of Macedonia adopted a Constitutional Law, setting out that the Republic of Macedonia will take no part in future in the work of the Assembly of SFR Yugoslavia and the Presidency of SFR Yugoslavia and discontinuing the mandate of its representatives in these federal institutions. Pursuant to the agreement with the General Staff of the Yugoslav Army, the units of the Yugoslav Army left the territory of the Republic of Macedonia in the spring of 1992. On July 3, 1992, the Assembly of the Republic of Macedonia adopted a Declaration, considering as unacceptable and rejecting the part of the Declaration of the European Community's Council of Europe on the Former Yugoslavia adopted in Lisbon on June 27, 1992, referring to the recognition of the Republic of Macedonia "under a name which does not include the term Macedonia". This Declaration stresses that by accepting such a position, even temporarily, a precedent has been made with extremely serious international consequences. The Declaration also points out that, as regards the legitimacy and justification of its request for international recognition, the Republic of Macedonia received official verification in the Report of the Arbitration Commission of the European Community Conference on Yugoslavia, in which the position was taken that "the Republic of Macedonia satisfies the tests in the Guidelines on the Recognition of New States in Eastern Europe and in the Soviet Union and the Declaration on Yugoslavia adopted by the Council of the European Community on 16 December 1991", as well as that "the use of the name 'Macedonia' cannot therefore imply any territorial claim against another State". 7) A stable constitutional and legal order exists and functions in the Republic of Macedonia, 8) The Republic of Macedonia unreservedly accepts the Charter and other documents of the United Nations, the principles of modern international relations and the existing standards of international law. 8) The Republic of Macedonia unreservedly accepts the Charter and other documents of the United Nations, the principles of modern international relations and the existing standards of international law.